Marking the International Women's Day, We Care, hosted an event celebrating women in events, media and hospitality, highlighting their roles as well as the challenges that they face. The event which was held at Taj Land’s End Hotel, saw dignitaries from various verticals- film, sports, politics, and business who interacted with the renowned guests who largely comprised of decision makers. To celebrate International Women’s Day, We Care extended invites toaround 200 prominent women leaders from across the events, media, advertising, hospitality and the corporate world. Seen at the event captivating the audience was the inspirational Story Teller Session, curated and moderated by Roshan Abbas, National Advisory Counsel of EEMA. The WE CARE celebrations were presented by Star TV Network and were hosted by the Taj Group of Hotels and supported by Exchange4Media. On this occasion EEMA signed a charter with The Advertising Club to jointly make the efforts to create a safe and conducive work environment for women in the media, event and advertising industry. 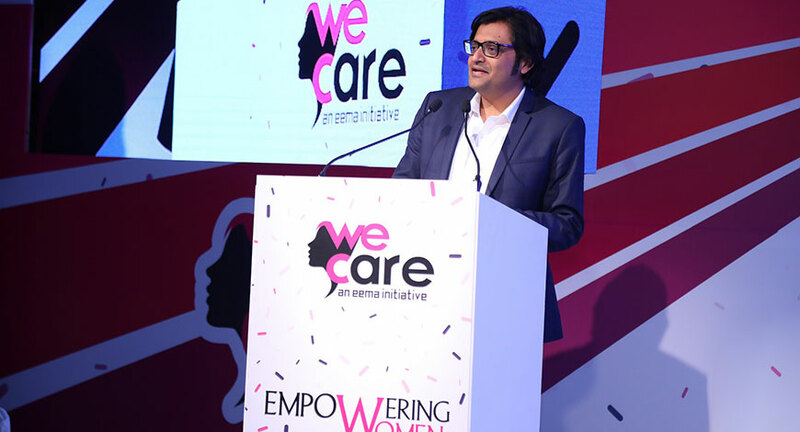 Commenting on the association, Anurag Batra, Chairman, exchange4media group stated, "I and we support EEMA's We Care initiative whole heartedly and are honored to be a part of it. Although this is the first step in our association, we hope we can play a continual and critical role to make a longterm impact towards the cause of empowering women. In line with the vision of providing a safe and conducive work environment for women in the media industry, We Care also announced a ‘Helpline’ to aid and assist women in the domains of harassment and mental distress. A set of professional counsellors have been enrolled to provide assistance. Calls coming to the Helpline (01149694998) will be answered by trained personnel who will then redirect them to the concerned person. There are redressal committees at regional levels instituted to enable the process. With Women comprising almost 50% of the work force in the events, hospitality and media industry, the initiative has become extremely important and EEMA is now actively promoting the initiative among the larger community embracing the fraternity from advertising, marketing, media, communication, entertainment and hospitality. Needless to say, considerable positive support has already been garnered. 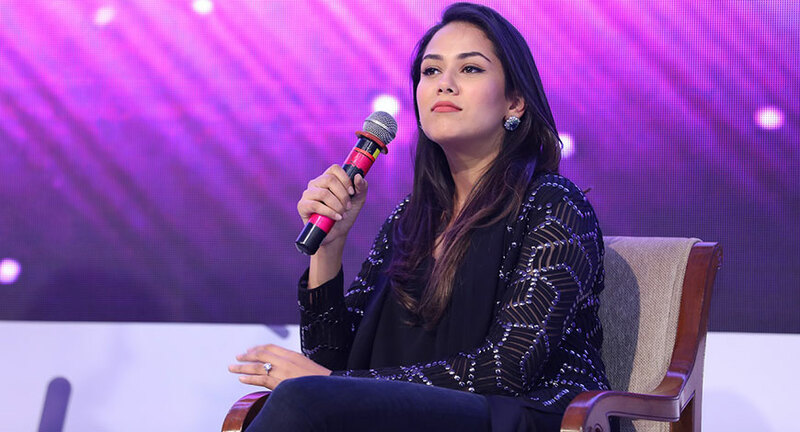 A number of talented personalities shared their inspirational stories at the event – Mira Rajput Kapoor, MeghnaGulzar, Mini Mathur, Divya Palat, Eika Banerjee, Cathy O’Dowd and Arnab Goswami to name a few. The fun filled night also had some enthralling performances by Ankit Tiwari, Nicola Johansson and Merlin D’souza.The audience also witnessed a beautiful poetry recitation by author Punam Chadha-Joseph. 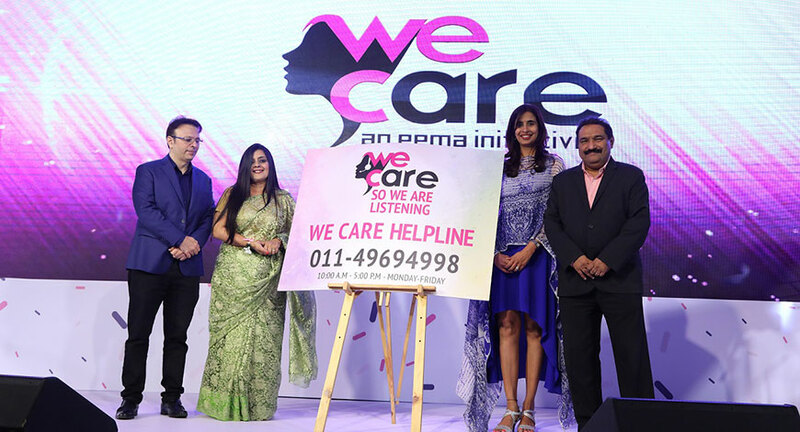 Part of the We Care initiative by EEMA were also the Pink Star of Honor awards which were presented to three enormously talented people – Taapsee Pannu, Aniruddha Roy Chowdhury and Farhan Akhtar who have inspired people and achieved so much this past year. The evening was indeed packed with many surprises which lauded the many achievements of these women from across different walks of life. With the leaders in the business putting their weight behind it, the effort is to make We Care a highly relevant and compelling movement, a game changer, a part of the evolutionist theory, credible and in the “Let’s do it together spirit”.